Col. Robert D. Cabana, director of the Kennedy Space Center and former NASA astronaut has been selected by the Rotary National Award for Space Achievement Foundation as the 2015 recipient of the National Space Trophy. 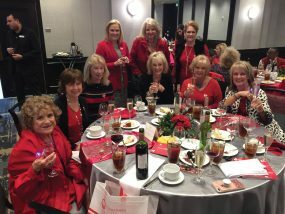 The presentation will be made Friday evening, April 24 at the Hyatt Regency Hotel in Downtown Houston during the annual RNASA Space Awards Gala, to which the public and aerospace community is invited. 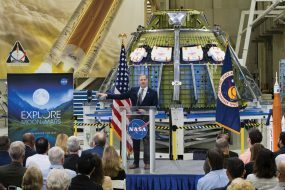 The retired Marine colonel is currently serving as the10th director of Kennedy Space Center, which is the primary U.S. launch site that has been used for every NASA human space flight since 1968. In this role, Colonel Cabana manages all NASA facilities and activities at Kennedy Space Center, leading a team of dedicated civil service and contractor personnel who operate and support numerous space programs and projects. He has been instrumental in ensuring the successful transition from the Space Shuttle and establishing KSC as a true multiuser spaceport of the future. Cabana has logged over 910 hours in space. He served as pilot on STS-41 (Oct. 6-10, 1990) and STS-53 (Dec. 2-9, 1992), and was mission commander on STS-65 (July 8-23, 1994) and STS-88 (Dec. 4-15, 1998), the first ISS assembly mission. Cabana was inducted into the Astronaut Hall of Fame in 2008. He is the recipient of The Daughters of the American Revolution Award for the top Marine to complete naval flight training in 1976, is a Distinguished Graduate of the U.S. Naval Test Pilot School, and has logged over 7,000 hours in 50 different kinds of aircraft. The Minneapolis, Minn., native is a Fellow in the Society of Experimental Test Pilots, an Associate Fellow in the AIAA, and he has received numerous awards and decorations, including the De La Vaulx medal by the Federation Aeronautique Internationale in 1994, the Presidential Distinguished Rank Award, and most recently was honored with the National Space Club 2013 Dr. Kurt H. Debus Award. A U.S. 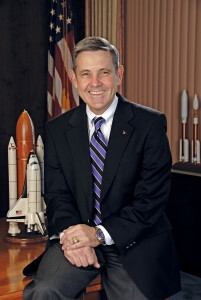 Naval Academy graduate, Cabana’s personal decorations include the Defense Superior Service Medal, the Distinguished Flying Cross, the Defense Meritorious Service Medal, the Meritorious Service Medal, the National Intelligence Medal of Achievement, two NASA Distinguished Service Medals, two NASA Medals for Outstanding Leadership, two NASA Exceptional Service Medals, and four NASA Space Flight Medals.